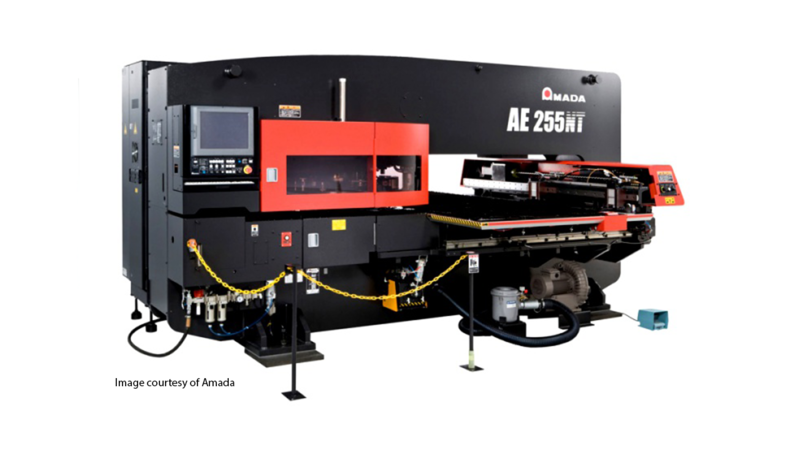 Amada's AE series of punching machines have two models, the AE-2510 NT and this one. This CNC punching machine has combined low power consumption with the servo-electric drive. The AE series takes up a small footprint of floor space as well. Compared to a similar hydraulic machine, this one lowers the consumption of power by more than 50%. This machine also has increased stroke speed compared to the AC series machines, AC-255 NT and the AC-2510 NT. SMP, Merry Mechanization's powerful CAD/CAM software, works well with this series from Amada. The AE-255 NT machine's small space-saving size helps its economic efficiency by having a small area of production. With this CNC fabrication machine having fewer components than a hydraulic machine, the cost of spare parts and maintenance are lower, which is always an added bonus. It has the drive and bridge frame compared to the other model in the AE series. Its main difference is the working area which it can cover the whole mid-range of 2.50mm x 1.25mm w/o repositioning.